Pražská strojírna a.s., a manufacturer of rail structures for tramways in Prague, Czech Republic, improves VM backup speed by 2X and maintains backup copies at DR location with NAKIVO Backup & Replication installed on Synology NAS. Established in 1994, Pražská strojírna develops and manufactures rail structures and turnout systems for tramways and serves customers across Europe, North America, and Africa. Pražská strojírna has two locations in Prague, Czech Republic. "Our IT infrastructure consists of 6 physical servers and 20 ESXi hosts across two different locations. Both locations are connected by LAN to provide disaster recovery, in case of an emergency situation at one location. VMware VMs store different kinds of data and applications, everything from DC, proxy, email, to Microsoft SQL and CRM," says Ondra Havlíček, ICT Manager at Pražská strojírna. The company invested in virtualization to ensure uninterrupted development and manufacturing of its products. "VM backups help us guarantee continuous enterprise operations, and also proper circulation of materials. Moreover, the know-how about our products and services is stored in the VMware VMs," says Ondra. If something would have happened to such documentation, Pražská strojírna would be at risk of data loss and downtime. Previously, the company protected its virtual environment with two different backup solutions, as well as used backup to tape. "Not only were the previous solutions quite expensive, but they also were lagging in terms of performance. VM backups were slow and required constant monitoring, and VM recovery tests took ages to complete. We needed a more reliable solution that would help us reach our goal of improving VM backup and recovery speed and maintaining copies of backups in two different locations. That is why we decided to contact our partner, exTerra Services, for a recommendation," says Ondra. exTerra Services introduced NAKIVO Backup & Replication to Pražská strojírna as a possible solution to problems with VM backups and as a DR implementation. "The installation was a part of the product introduction on the partner's seminar and the simplicity of the solution was so unexpected that we agreed to a POC. After using the trial version, we decided to purchase NAKIVO Backup & Replication because the software was easy to use, fast, and had the features that we needed," says Ondra. Pražská strojírna decided to convert their Synology NAS into a VM backup appliance by installing NAKIVO Backup & Replication directly on the NAS. "NAKIVO Backup & Replication is fast, but when we installed it on our Synology NAS, the backup speed increased even further. Backups are so fast that we're able to fully use the bandwidth available to the NAS," says Ondra. "Moreover, NAKIVO Backup & Replication can use all the space available on the device to store VM backups." With NAKIVO Backup & Replication, Pražská strojírna achieved their goal of maintaining copies of backups in separate locations. "Since we have two locations, we wanted to protect our data and applications against unexpected disasters and VM failures, so by having not one, but multiple copies of backups, we wanted to ensure an extra level of safety. Backup copy enables us to quickly send copies of backups to both locations. Backup copies are consistent with the actual backup jobs and we can recover data from them, whenever we want," says Ondra. NAKIVO Backup & Replication installed on Synology NAS provides Pražská strojírna with 2X faster VM backup speed. With NAKIVO Backup & Replication, the company is now able to maintain copies of backups in two different locations. "NAKIVO Backup & Replication greatly simplified the way in which VM backups are done and dramatically increased backup speed, due to installation on Synology NAS. With the backup copy feature, we are now able to quickly move new backups to another location, without overloading the operating infrastructure and VMware VMs. Overall, with NAKIVO Backup & Replication, we were able to save 70% of time on backup administration," says Ondra. 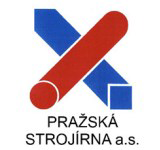 The joint stock company “Pražská strojírna a.s.” was established on April 1, 1994. The company’s development team is capable of solving even the most complex problems related to city and suburban rail transportation. Development and manufacture of rail structures and setting devices for tramway transportation form the fundamental line of business. Comprehensive servicing of setting devices is extended to other components, such as tramway turnouts with flexible replaceable blades in various modifications based on customer demands, turnout heating, track drainage, and other engineering products. For more information, visit www.pstroj.cz.